Opticlear™ Optical Cleaning Suspension, 1.0 fluid oz. Opticlear™is a suspension based cleaning system that peels contamination off the face of optics. 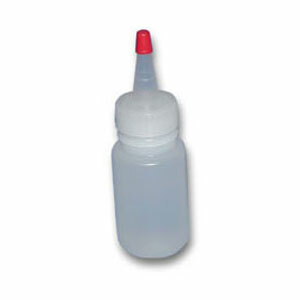 It can be used on both coated and uncoated optics, but is not for use with water soluble optics. Simply apply this cellulose based suspension to the surface of the optic and peel it off when the suspension is dry. Opticlear™ Optical Cleaning Suspension, 0.45 fluid oz.